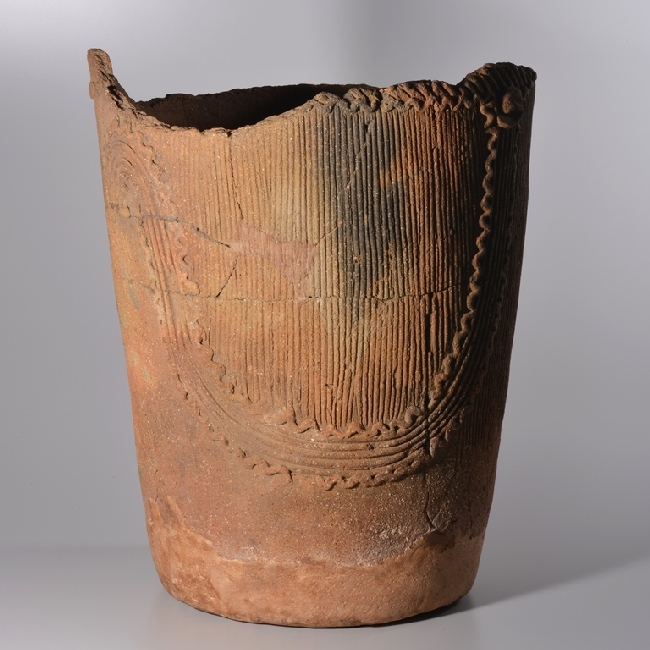 １．A　Jomon Deep Jar with U-form design. 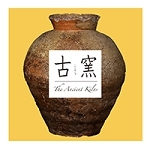 Middle of Jomon period , Japanese. 2.An Shoki-Imari Porcelain Blue and White Dish, with Mount Penglai design. 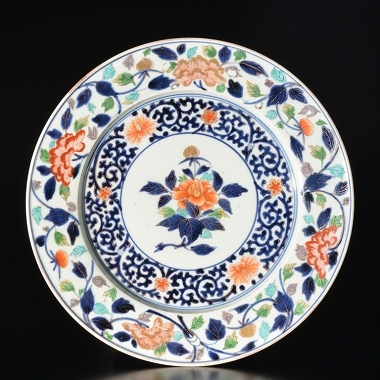 17th Century, Edo period, Early Imari ware, Japanese. 3. 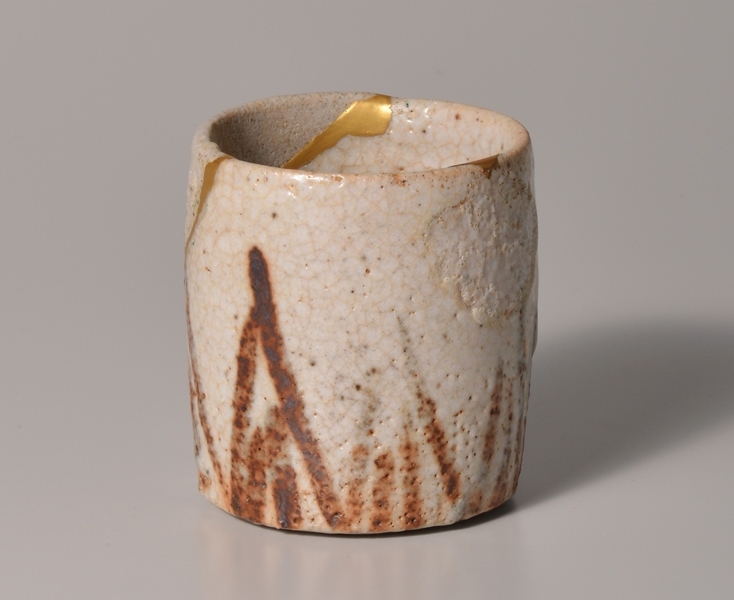 An Earthenware Cup, with Bamboo shoot design. supervised by Shouichi Narasaki, 1976. 4. An Enameled Bottle, with Grapevine design. 5. 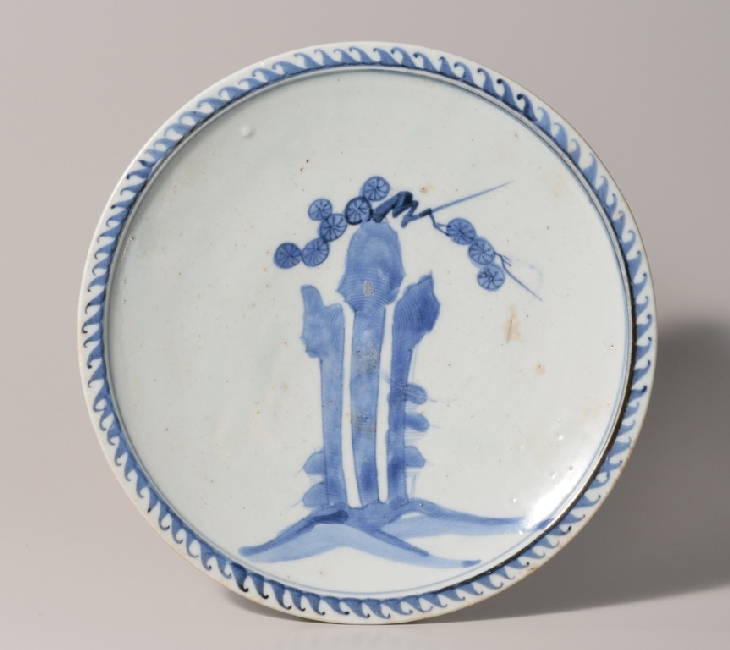 An Enameled Large Dish, with Grapevine design,with ‘ Fuku’ mark. 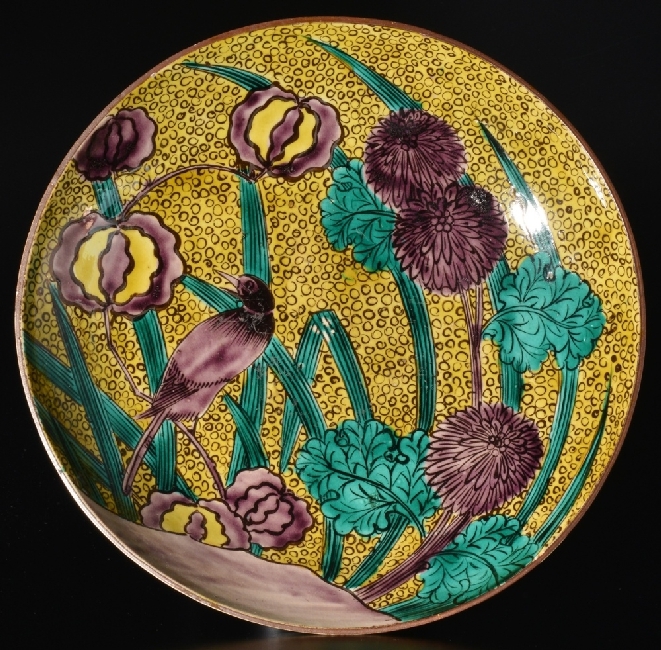 Imari ware in ‘Aode’Ko-kutani style, Japanese. 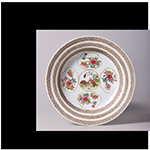 with Plum tree and Dragon design. 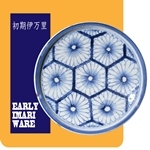 Imari ware in ‘Kakiemon’style, Japanese. Shuppan, by Genyu Imaizumi, 1974. 7. An Enameled Large Dish, with Floral Arabesque design. 17th Century, Edo period, Imari ware,Japanese. 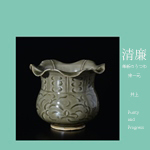 ８．A Qingbai Glazed Octagonal Ewer. 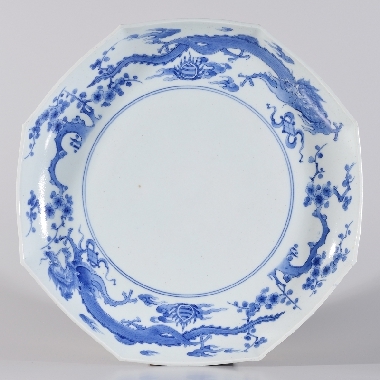 11th Century, Northern Song dynasty, Jingdezhen ware, Chinese. 9. 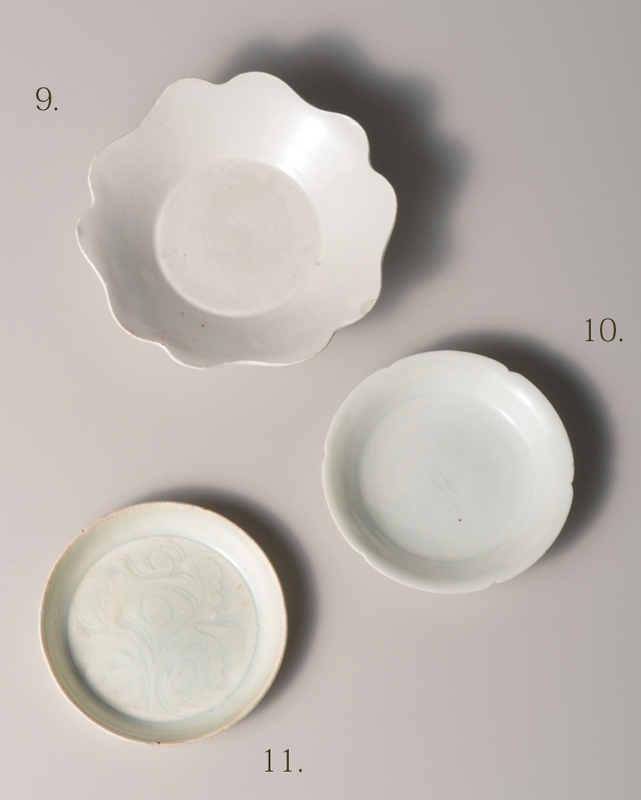 A White Glazed Lobed Dish. 10. 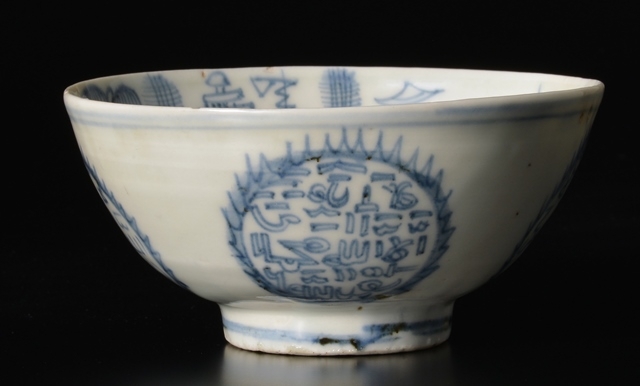 A Qingbai Glazed Lobed Small Dish. 11. A Qingbai Glazed Small Dish. 12. A Green Glazed Marbled Bowl, with Handles. 13. A Blue and White Bowl, with The Koran Inscription design. 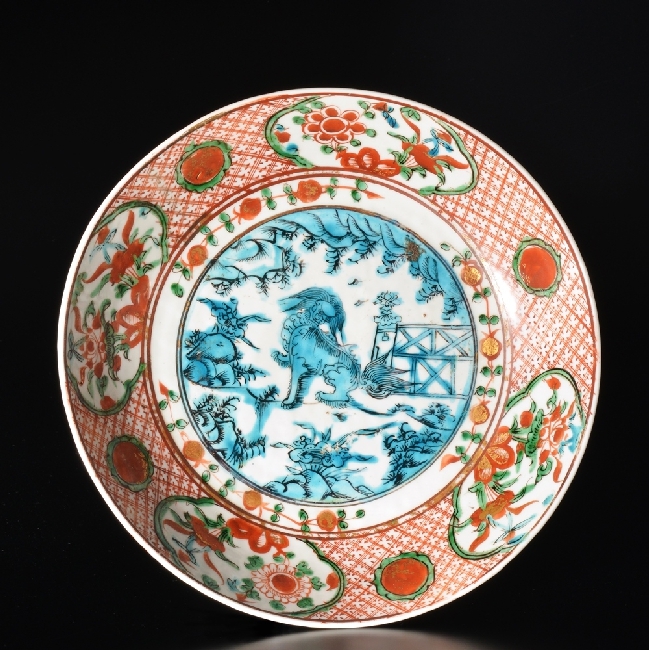 17th Century, Ming dynasty, Swatow ware, Chinese. 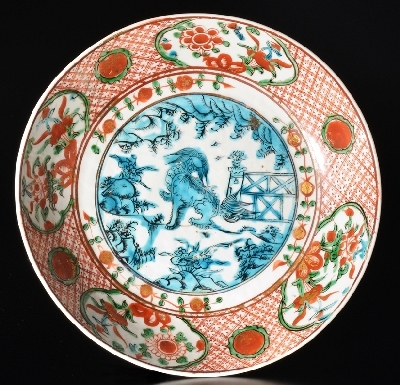 14．A Gilt and Enameled Large Dish, with Lion in garden and Red-roundels design. 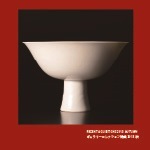 The Seikado Bunko Art Museum, 1997.
with a Six character mark of Jiajing and of the period. 16. A Black Glazed Flask. 15th - 16th Century, Early Joseon period, Korean. Small Covered Jar, with Four looped lugs. 12th century, Northern Song dynasty, Jingdezhen ware, Chinese. 18. A Buncheong ware Cup. 22. 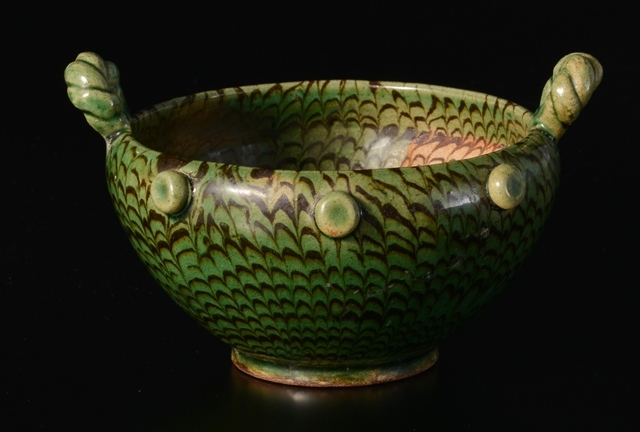 An Ash Glazed Earthenware Bowl. 24. 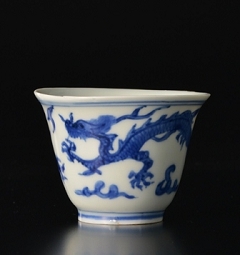 A Buncheong ware Inlaid Cup. with Mountain and Figure design. 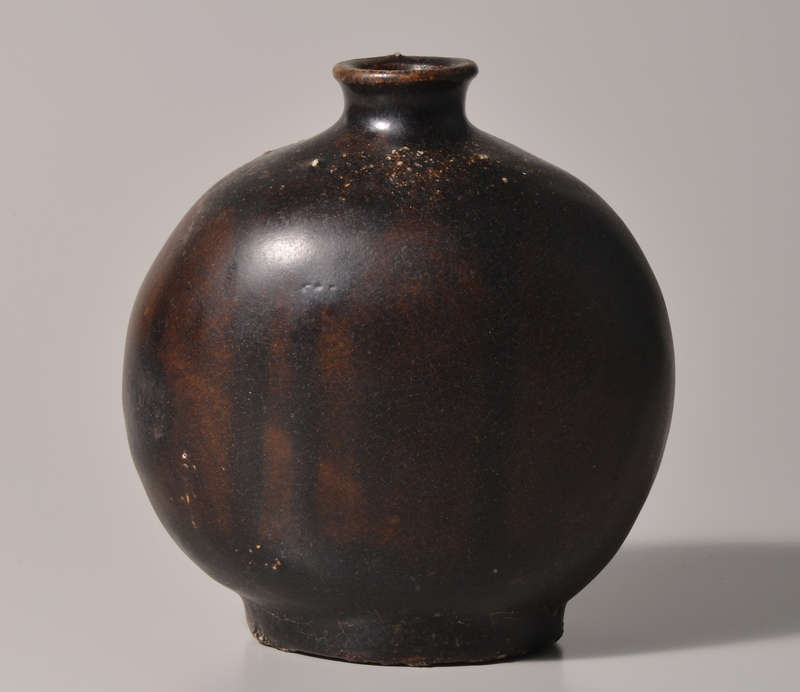 29．A Mirror-black Small Gourd Bottle. 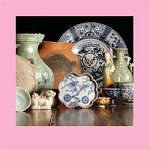 30． A Turquoise-blue Glazed Small Gourd Bottle. 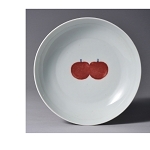 Copyright (C) 2007 INOUYE＆SON oriental art. All Rights Reserved.